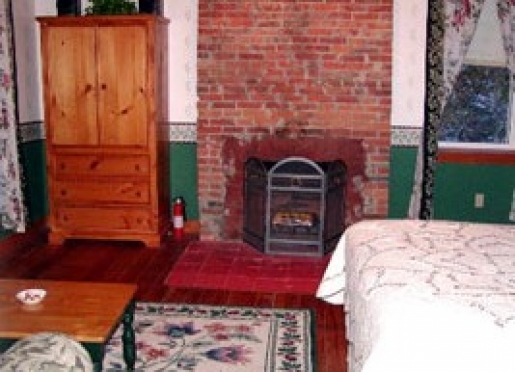 This spacious first floor guest room features a queen size bed, small sitting area, working fireplace, large private bath and central air-conditioning. The quilt, colored in soft hues of cranberry and sage, makes this room warm and romantic. The Amish furniture gives this room a cottage feel. A romantic second floor guest room, boasts a queen size cherry pencil post bed, small sitting area, private bath and air-conditioning. The quilt is a vintage-inspired romantic blend of pink blush hues with coordinating paisleys and stripes. This room is painted a cheery sea foam green. 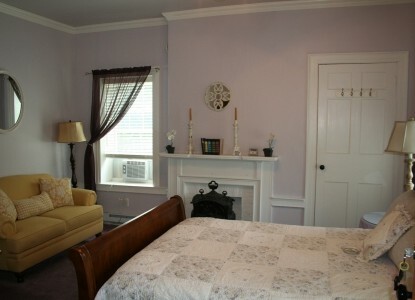 Located on our second floor, this bright and airy room is decorated in pale gold and lavender. 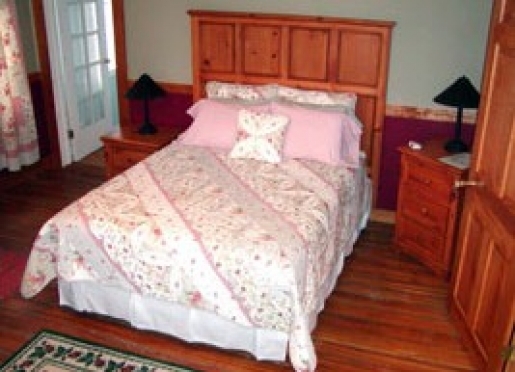 The quilt is a combination of beige and lavender floral appliqués. 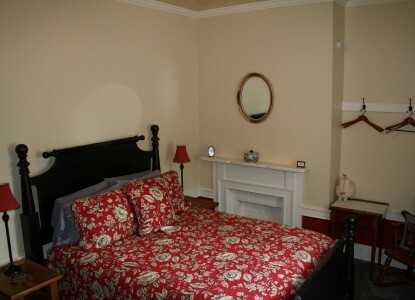 This room features a queen size antique-like sleigh bed, small sitting area, private bath and air-conditioning. 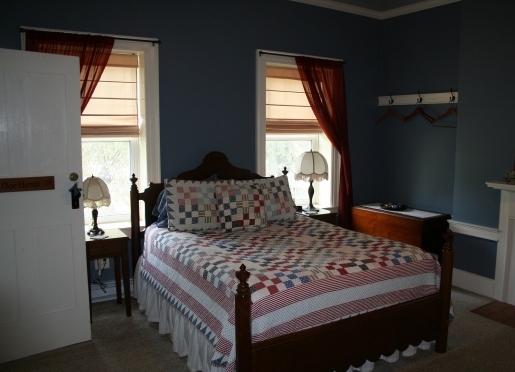 With its beautiful cherry queen size bed, handcrafted by our local mennonites, this room is a guest favorite. 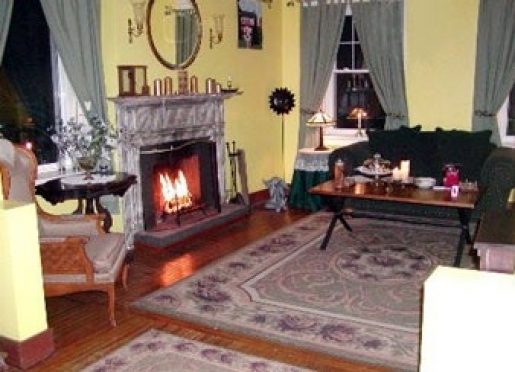 Decorated in deep velvety tints of burgundy and accents of colonial blue adds warmth to this cozy second floor room. The blue diamond pieced patchwork quilt gives it the charm of an heirloom for an antique look. This second floor guest room features a small sitting area, private bath and air-conditioning. A queen size black federal style bed graces these cozy quarters. 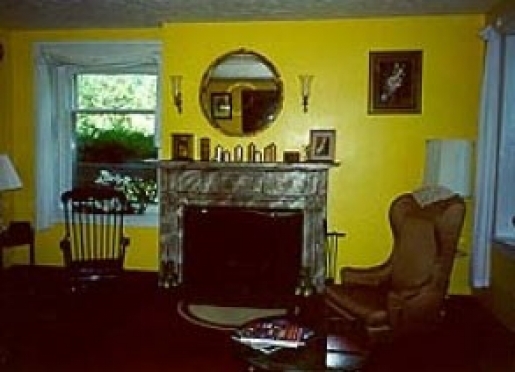 This second floor guest room is decorated in a black and cream garden toilet with crimson accents. 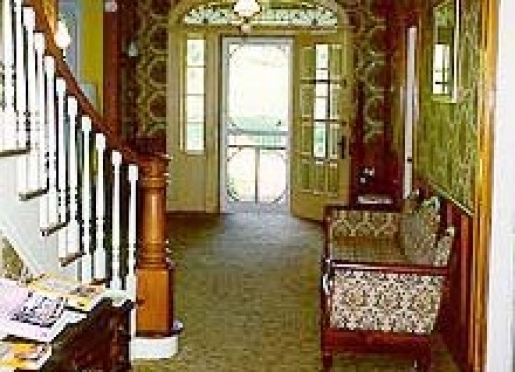 This room overlooks our pond and features private bath and air-conditioning. We require a two night minimum stay on weekends in peak season. May-November (Fri.-Sat./Sat.-Sun. ), holiday and event weekends. Three night minimum required on some holiday and event weekends. Please call to check availability for single-night reservations during this time. 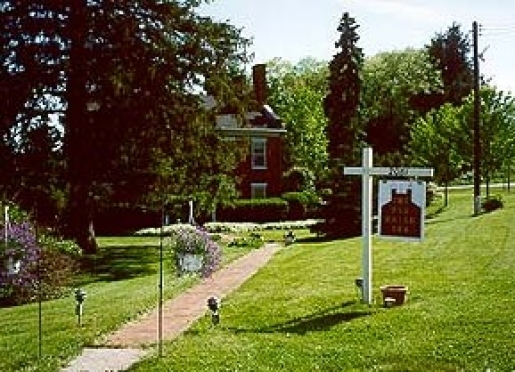 Based on double occupancy and includes a full country breakfast. Extra person per night $30 plus tax. Prices subject to change. May-November (Fri.-Sat./Sat.-Sun. ), holiday and event weekends. Three night minimum required on some holiday and event weekends. Please call to check availability for single-night reservations. We are a small business with a short season and we turn down requests for the room we have reserved for you. Therefore, we need to have the following reservation and cancellation policy. 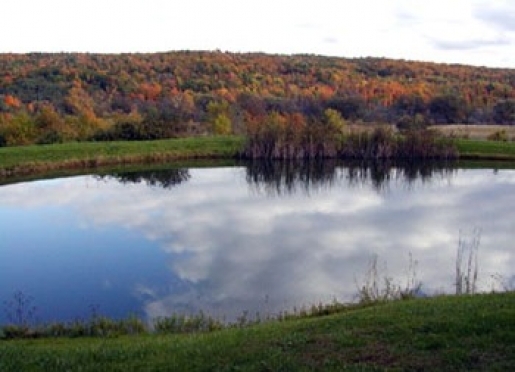 Reservations will be confirmed with payment in full for a one-night stay. A 50% deposit is required for stays of two or more nights, with balance due upon arrival by personal check, cash or traveler's check. We also accept Visa, MasterCard and Discover. Deposits will be refunded when notice of cancellation is received more than 14 days prior to arrival date. Otherwise, deposit will be refunded only if we are able to re-book the room. Group reservations of three guest rooms or more are subject to a 30-day cancellation policy. All cancellations are subject to a $25.00 processing fee. Early departures, no shows and last minute cancellations (within 48 hrs.of arrival) are non-refundable and will be charged for the entire amount of the stay (number of days times room rate, plus tax). We are sorry that we cannot be responsible for travel delays, health issues and inclement weather. Sorry, no pets. Family pets in residence. 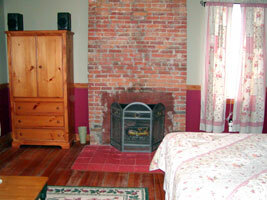 The Red Brick Inn B&B is a smoke free environment. For the health and comfort of our guests, smoking is permitted outdoors only. 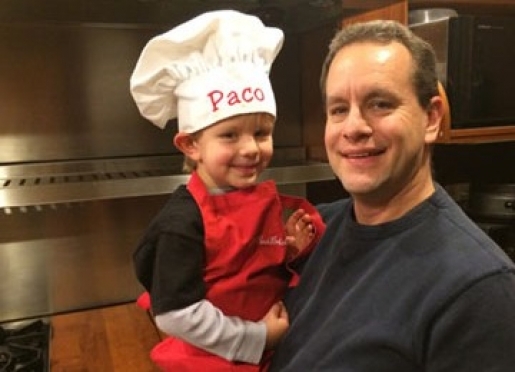 Please call (607) 243-8844 or e-mail [email protected] with your estimated time of arrival so we can make sure someone is at the house to greet you. Our check in time is between 4:00 pm and 8:00 pm. Late check in between 8:00 pm and 10:00 pm is available by prior arrangement only. Check out is 11am (late departures are subject to additional day charged). 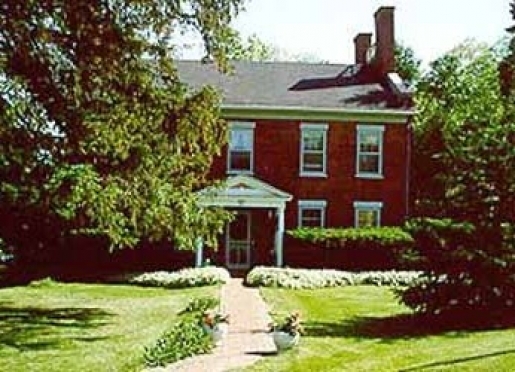 Thank you for making an inquiry about staying at The 1819 Red Brick Inn - A Bed & Breakfast.